Giving the Manufacturer a Lemon Law Final Repair Attempt | The Consumer Law Group, P.C. Under Virginia’s Lemon Law, you have the right to a refund or replacement when your new car has defects that cannot be repaired in a reasonable number of attempts, three unsuccesful repair attempts of the same significant defect, or 30 days in the shop for any defect and the problem still exists. 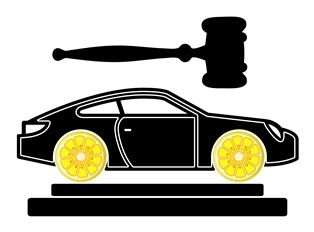 The key to a successful Lemon Law claim is following each step as required by the law and documenting the process. Along with keeping records of each repair attempt, and making sure the reair order contains a record of all problems you complained of and shows all the days out of service for repair, you must notify the manufacturer in writing of your intention to file a Lemon Law claim. The timing of this notification is important. What Happens If You Wait to Notify the Manufacturer? While we expect a new car to be perfect, we do not usually think of filing a Lemon Law claim the first time there is a problem with the car. A new car owner may notice a rattling noise or have trouble getting the entertainment system to work properly. He takes the car back to the dealership, expecting the problem to be fixed. There is no need at this point to notify the manufacturer, but the owner should keep a copy of the repair order, making sure the information on it is complete and accurate, and make a few notes about the interaction. If he finds that the problem was not fixed and returns the car to the repair shop, he may begin to think he has a lemon. At this point, he may want to notify the manufacturer in writing that he is having issues with his new car. If he does not take this step after the third unsuccessful repair attempt, he will have to give the manufacturer one more attempt to repair the defect. The owner will submit a written notice to the manufacturer giving them a final repair opportunity. The letter needs to include a description of the defect and a list of the previous repair attempts. The automaker will have 15 days to repair the car. If the repair is not successful, the car owner has a legitimate Lemon Law claim. If the defect in your car is a serious safety issue, the dealer has only one attempt to fix the problem. Safety defects may include steering or braking problems, airbag malfunction, seat belt defects, and problems with the wheels or tires. If the manufacturer cannot repair the defect in a single attempt, you may have a Lemon Law claim. If you call the Consumer Law Group, P.C. as soon as you suspect you have purchased a lemon, we will make sure you follow the proper procedure so that you have the strongest possible Lemon Law claim. If we are successful, our fees will be paid by the automaker, so you have nothing to lose! Call us today.